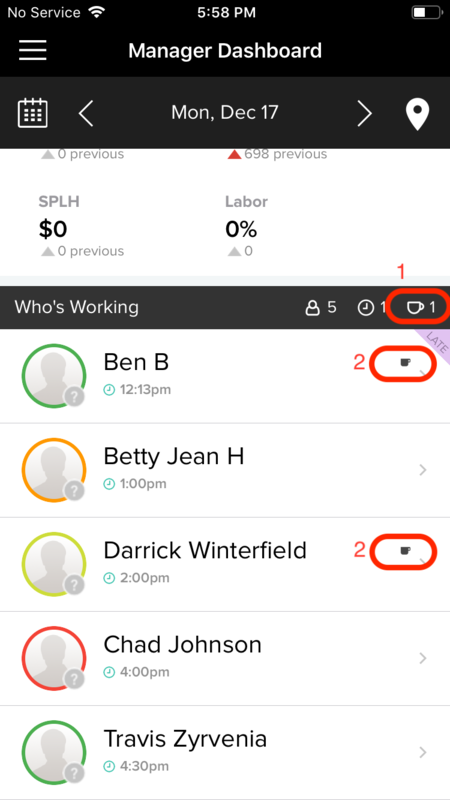 Admins, Managers, and Assistant Managers will see the Mobile Manager Dashboard as the first screen when they login to the mobile app. The dashboard includes a real-time sales vs labor graph. 7punches users will also see a live look at punches. This feature is only available on accounts that have a POS integration and/or have 7punches enabled. 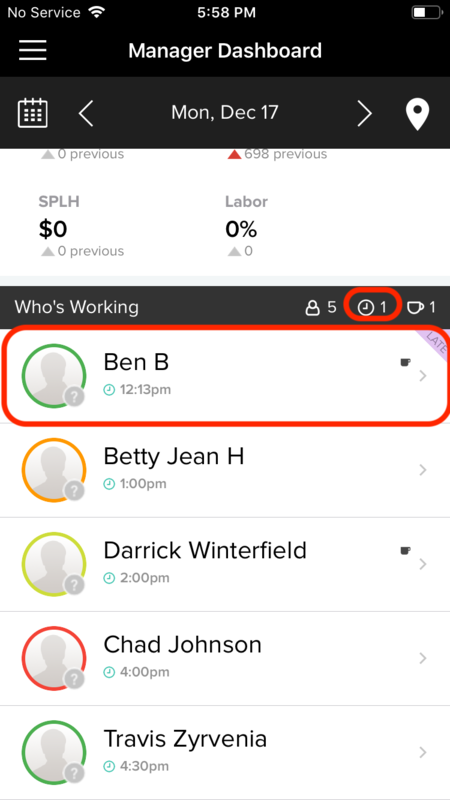 Admins must enable 'Can manage schedules' under the manager permissions for Managers and Assistant Managers to view the Manager Mobile Dashboard. On the Manager Dashboard, you will see a graph of your actual sales & actual labor pulled in from your point of sale or 7punches. Tap on the '<' and '>' icons to move forward/backward a day, or click on the 'Calendar' icon to select a specific date. To see how your sales and labor are trending throughout the day, scroll on the hours located at the bottom of the graph. To take a deeper look at the hourly performance of your actual sales and actual labor, tap on any data point within the graph. From there, you will be able to see Sales, Labor Cost, Sales Per Man Hour (SPMH) and Labor %. To get back to your homescreen, tap the 'X' on right side of your screen. Directly below the sales vs. labor graph you will see a live look at the active clock ins for the day. 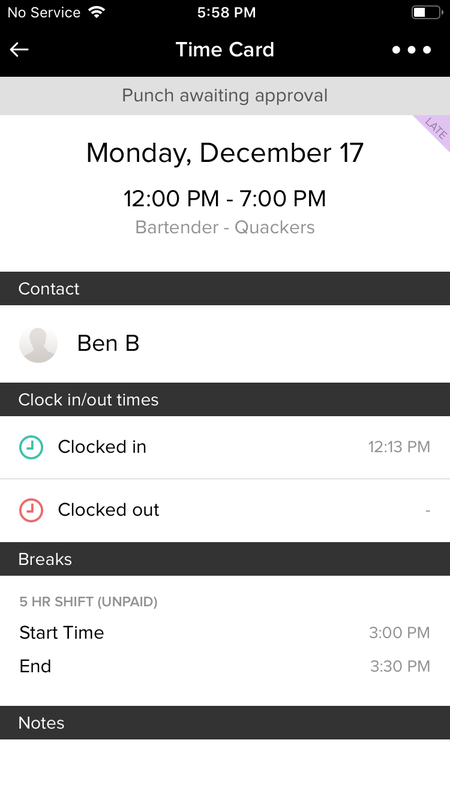 Users with a POS integration will be able to view clock ins only. 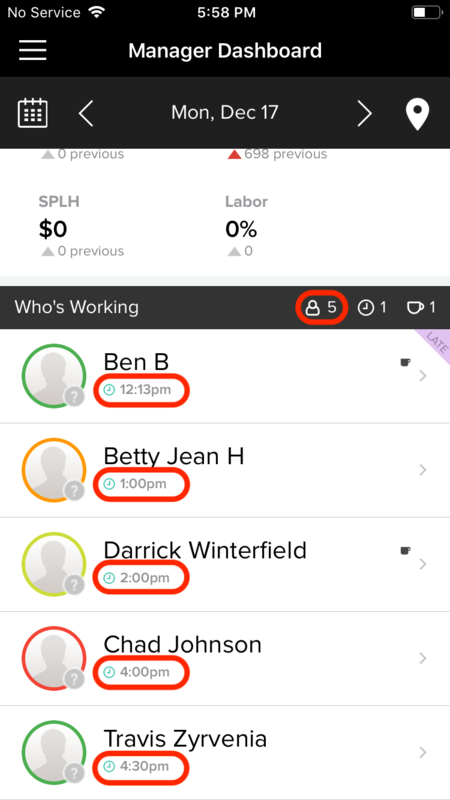 Managers and Assistant Managers will need to have the "Can manage time punches' permission enabled to view the Time Clocking portion of the dashboard. Tap on ' Time Clocking' in the menu to manage all punches.